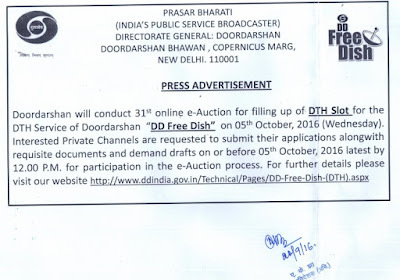 Doordarshan will conduct 31st online e-auction for filling up of the DD Freedish DTH slots on 05th October, 2016. Prasar Bharati requested to take part to interested Private TV channels to submit their applications alongwith requisite documents and demand drafts on or before 05th October, 2016 latest by 12:00 PM for participation in the e-Auction process. This e-Auction process will be held by M/s C1 India Pvt Limited, gurgaon on behalf of Prasar Bharati. The successful channel is required to arrange their own IRD Box in advance to place their channel on DD Freedish DTH on time. 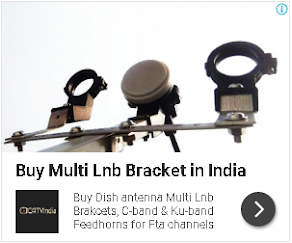 You can see updated DD Freedish channel list from here.. 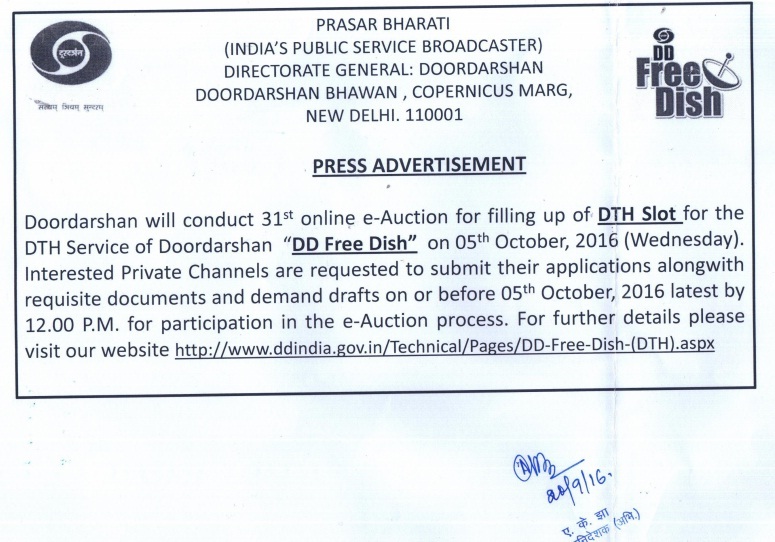 Here is status of 30th e-Auction completed by DD Freedish (Prasar bharati). For more information, check official information from here..